Coca- Cola. Gucci. Prada. McDonalds. Ferrari. KFC. Telstra. Disney. 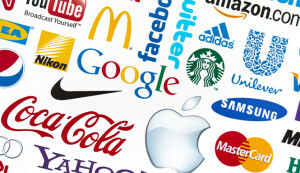 These are brands that are well known to all of us. The owners of those brands (and note that I use the word ‘brands’ not organisations), go to great lengths and great expense to protect those brands. Law firms, too, are engaged in developing their own brands. It is only in relatively recent times that branding has become associated with individuals. When you think about it, most of us already have a brand and may not even know it thanks to the digital world in which we live. Everything published on social media that is public, shared with the world, creates a perception of us as people – our interests, our values, and the people with whom we associate. Even things posted by someone else can contribute to our image and we don’t even know it. Ever had your photo in the social pages with your name to it? There is a good chance that photo will appear on a search of Google images. If it is a photo taken at a ‘priests and prostitutes’ fancy dress party, for example, you may not want potential employer or client to see that photo. So the question is, how are you going to cultivate a personal brand that shows clients (and potential employers) who you are and what you stand for? This is something that is within your control, so make sure you do control it. In creating a personal brand you have to decide what you want to be known for. This of course may change over the years as you work towards developing a specialisation – but decide early on what personal attributes or values you have that you want people to be able to see. Whatever else your personal brand is, as a professional person, part of it will need to be that you are good at what you do. In time, your brand will include that you are an expert at what you do. This is going to require continuing education and training, as well as making sure people know that you’re an expert. Think about it carefully. What do you want to be known for? How can you stand out from the pack? karen /wp-content/uploads/2017/03/empire_logo_MID_withoutpeople_Edited.png karen2015-05-25 12:21:262017-12-01 15:56:14Personal Branding – who are you?